Piero Sraffa (5 August 1898 – 3 September 1983) was an influential Italian economist who served as lecturer of economics at the University of Cambridge. His book Production of Commodities by Means of Commodities is taken as founding the neo-Ricardian school of economics. Sraffa was born in Turin, Italy to Angelo Sraffa (1865–1937) and Irma Sraffa (née Tivoli) (1873–1949) a wealthy Italian Jewish couple. His father was a professor in commercial law and later dean at the Bocconi University in Milan. Despite being raised a practicing Jew, Sraffa later became an agnostic. He studied in his home town and graduated at the local university with a work on inflation in Italy during and after World War I. His tutor was Luigi Einaudi, one of the most important Italian economists and later a president of the Italian Republic. From 1921 to 1922, he studied at the London School of Economics. In 1922, he was appointed director of the provincial labour department in Milan, then professor in political economy first in Perugia and later in Cagliari, Sardinia. In Turin, he met Antonio Gramsci (the most important leader of Italian Communist Party). They became close friends, partly due to their shared political views. Sraffa was also in contact with Filippo Turati, perhaps the most important leader of the Italian Socialist Party, whom he allegedly met and frequently visited in Rapallo, where his family had a holiday villa. In 1925, he wrote about returns to scale and perfect competition, underlining some doubtful points of Alfred Marshall's theory of the firm. This was amended for British readers and published in 1926 as The Laws of Returns under Competitive Conditions. In 1927, Sraffa's yet undiscussed theory of value, but also his friendship with Antonio Gramsci—a risky and compromising endeavor in the context of the Italian fascist regime, considering Gramsci had previously been imprisoned (Sraffa supplied the material, literally pens and paper, with which Gramsci would write his Prison Notebooks)—brought John Maynard Keynes to prudently invite Sraffa to the University of Cambridge, where the Italian economist was initially assigned a lectureship. Together with Frank P. Ramsey and Ludwig Wittgenstein, Sraffa joined the so-called cafeteria group, an informal club that discussed Keynes's theory of probability and Friedrich Hayek's theory of business cycles (see Sraffa–Hayek debate). In 1939, Sraffa was elected to a fellowship at Trinity College. [Sraffa's] reconstruction of Ricardo's surplus theory, presented in but a few pages of the introduction to his edition of Ricardo's Principles, penetrated a hundred years of misunderstanding and distortion to create a vivid rationale for the structure and content of surplus theory, for the analytical role of the labor theory of value, and hence for the foundations of Marx's critical analysis of capitalist production. Sraffa's Production of Commodities by Means of Commodities was an attempt to perfect classical economics' theory of value as originally developed by Ricardo and others. He aimed to demonstrate flaws in the mainstream neoclassical theory of value and develop an alternative analysis. In particular, Sraffa's technique of aggregating capital as "dated inputs of labour" led to a famous scholarly debate known as the Cambridge capital controversy. Economists disagree on whether Sraffa's work refutes neoclassical economics. Many post-Keynesian economists use Sraffa's critique as justification for abandoning neoclassical analysis and exploring other models of economic behavior. Others see his work as compatible with neoclassical economics as developed in modern general equilibrium models, or as unable to determine a long-period position, just like the Walrasian approach. Others still argue that the importance of Sraffa's economics is that it provides a new framing for how we understand capitalist economies that does not fall back on the arguably unrealistic assumptions of neoclassical economics. Nonetheless, Sraffa's work, particularly his interpretation of Ricardo and his Production of Commodities by Means of Commodities (1960), is seen as the starting point of the neo-Ricardian school in the 1960s. His approach has been described as serving "to help judge Ricardo's editor and to illuminate the unity in [his] scientific vision, from before 1926 until death in 1983". Sraffa was a close friend of Italian Marxist thinker Antonio Gramsci and was instrumental in securing Gramsci's prison notebooks from the Fascist authorities after the latter's death in 1937. Titled "Problems of today and of Tomorrow", Gramsci published 1924 a letter from Sraffa (without signing, signed S.). In the letter, Sraffa emphasizes the function of bourgeois opposition in the struggle against fascism and the importance of democratic institutions for the social and political development of the proletariat. Seeing the Italian Communist Party as weak, Sraffa recommended collaboration with the bourgeois opposition to fascism. In his answer, Gramsci rejects this suggestion, but he followed Sraffa’s advice several years later. In the introduction to Philosophical Investigations, Wittgenstein mentions discussions with Sraffa over many years and says: "I am indebted to this stimulus for the most consequential ideas in this book". However, Sraffa broke off his weekly conversations with Wittgenstein in 1946 over the latter's protests; and when the philosopher said he would talk about anything Sraffa wanted, "'Yes', Sraffa replied, 'but in your way'". Sraffa was described as a shy and very intelligent man who was devoted to study and books. His library contained more than 8,000 volumes, many of which are now in the Trinity College Library. A popular anecdote claims that Sraffa made successful long-term investments in Japanese government bonds that he bought the day after the nuclear bombing on Hiroshima and Nagasaki. Another version of this is that Sraffa bought the bonds during the war when they were trading at distressed prices as he was convinced that Japan would honour its obligations (Nicholas Kaldor, pp. 66–67). In 1961, when the Sveriges Riksbank Prize in Economic Sciences in Memory of Alfred Nobel had not yet been created, he was awarded the Söderströmska Gold Medal by the Royal Swedish Academy of Science. In 1972, he was awarded an honorary doctorate by Sorbonne and in 1976 received another one from Madrid's Complutense university. Sraffa, Piero, 1926, "The Laws of Returns under Competitive Conditions", Economic Journal, 36(144), pp. 535–50. _____, 1960, Production of Commodities by Means of Commodities: Prelude to a Critique of Economic Theory. Cambridge University Press. Preview. _____ and M.H. Dobb, editors (1951–1973). The Works and Correspondence of David Ricardo. Cambridge University Press, 11 vols. Online at the Online Library of Liberty. ^ a b Jean-Pierre Potier (1991). Piero Sraffa, Unorthodox Economist (1898–1983): A Biographical Essay (1898–1983: a Biographical Essay). ISBN 978-0-415-05959-6. ^ The participants of the Symposium 1930 in the Economic Journal were more concerned with how increasing returns can be made compatible with competition than with what are the consequences of increasing returns in the real world. Hicks (1939, The Foundations of Welfare Economics, pp. 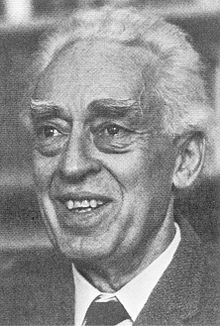 696–712 in Economic Journal, IL, December 1939) concluded that Sraffa's view has destructive consequences for the major part of economic theory. ^ G. C. Harcourt, 'Sraffa, Piero (1898–1983)', Oxford Dictionary of National Biography, Oxford University Press, 2004. ^ John Eatwell (1984). "Piero Sraffa: Seminal Economic Theorist." Science and Society, 48(2), pp. 211–216. JSTOR 40402578 Reprinted in Piero Sraffa: Critical Assessments, J. Wood J. C. Wood, 1995, v. 1, pp. 74–79. ^ Paul A. Samuelson ( 2008). "Sraffian economics." The New Palgrave Dictionary of Economics 2nd Edition. Abstract. ^ * John Eatwell and Carlo Panico (1987 ). "Sraffa, Piero." The New Palgrave: A Dictionary of Economics, v. 3, pp. 445–52. Steve Keen, Debunking Economics: The Naked Emperor of the Social Sciences (2001, Pluto Press Australia) ISBN 1-86403-070-4. Heinz D. Kurz, Ed. "Critical Essays on Piero Sraffa's Contribution to Economics" (2000, Cambridge University Press) ISBN 0-521-58089-7. Ranchetti F., "On the Relationship between Sraffa and Keynes", in T. Cozzi e R. Marchionatti (eds. ), Piero Sraffa's Political Economy: A Centenary Estimate, Routledge, London, 2001. Ranchetti F., "Communication and intellectual integrity. The correspondence between Keynes and Sraffa", in M.C. Marcuzzo e A. Rosselli (eds. ), Economists in Cambridge, Routledge, London, 2005, pp. 119–148. Sinha A., "Sraffa's Contributions to the Methodology of Economics." Journal of Interdisciplinary Economics January 2015 vol. 27 no. 1 33–48. Sinha A., "Sraffa and the Later Wittgenstein." Contributions to Political Economy, 2009 Vol. 28, Issue 1, pp. 47–69. Vianello, F. , "A critique of Professor Goodwin's Critique of Sraffa", in: Ricci, G. and Velupillai, K. (eds. ), Growth, Cycles and Multisectoral Economics: the Goodwin Tradition, Berlin, Sringer-Verlag, ISBN 978-3-540-19467-5. Piero Sraffa Archives homepage at Trinity College, Cambridge. Contains an online catalogue of Sraffa's personal and professional papers. Piero Sraffa (1960). Production of Commodities by Means of Commodities — Prelude to a Critique of Economic Theory (PDF). Bombay: Vora & Co., Publishers Bvt. Ltd.
Roncaglia, Alessandro (2009). Piero Sraffa (PDF). Great Thinkers in Economics. palgrave macmillan. OCLC 956749156.